Making a decorative wall hanging, whether for the holidays or to enhance your decor is a great craft project for the novice or experienced crafter. This is a guide about wall hanging craft ideas. 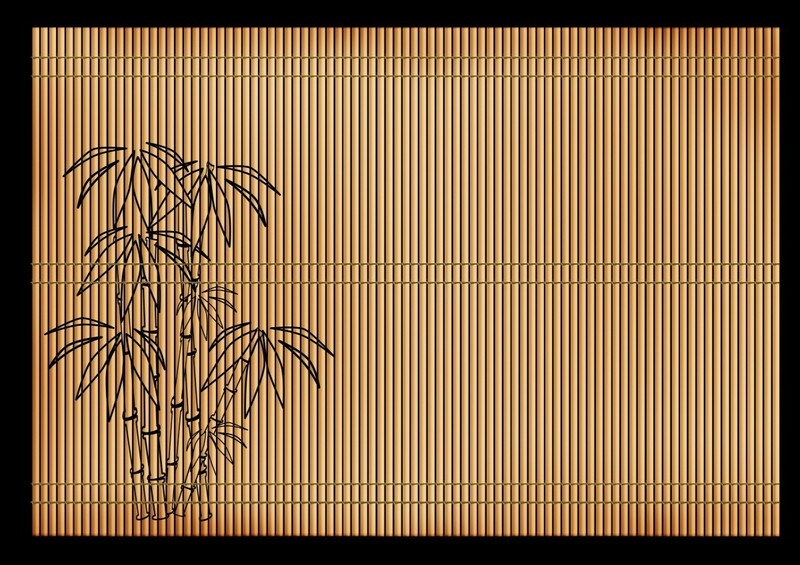 This is a guide about making a tatami wall hanging. Traditionally tatami mats were made of rice straw and used as a floor covering in Japanese homes. This delightful wall hanging carries a thoughtful message and uses fabric covered wooden discs and buttons to support the sentiment. 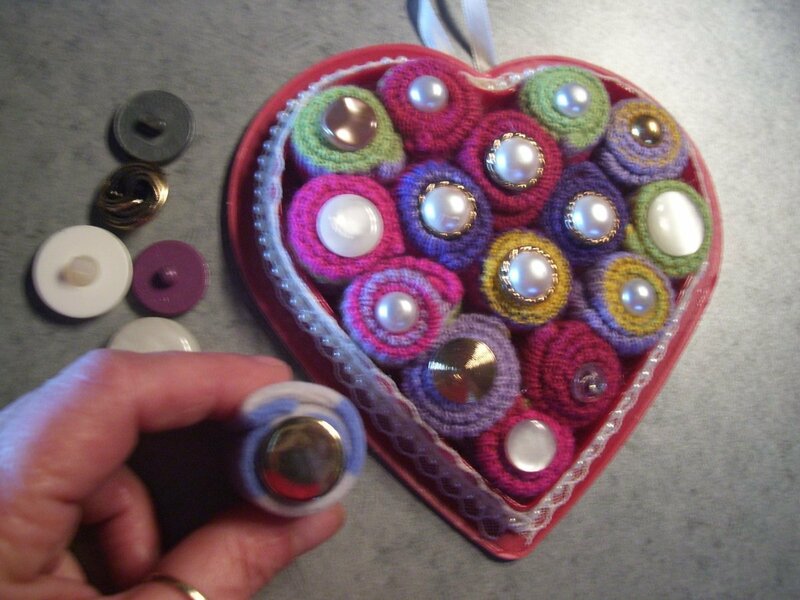 This is a guide about making a button and fabric wall hanging. 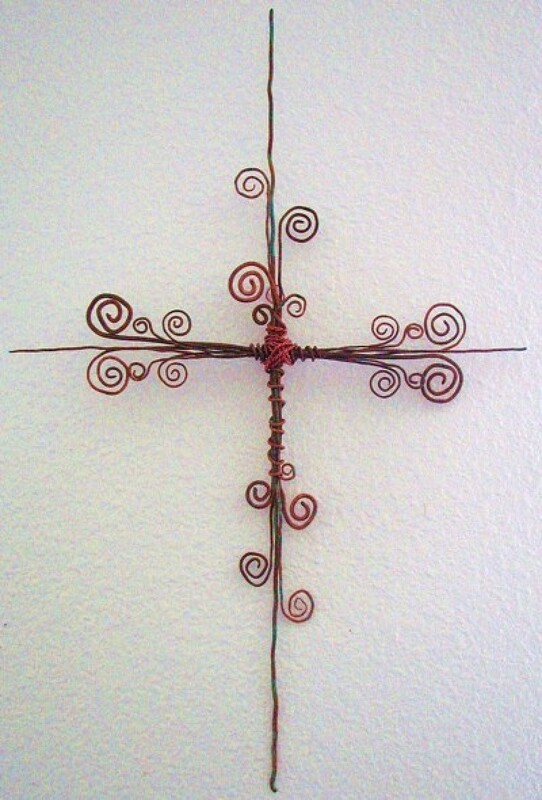 Take bright copper wire and make this pretty cross as a decoration for your bedroom or hallway. This guide is about making a copper wire cross wall hanging. This is a guide about making a homemade handprint wall hanging. This colorful fabric wall hanging would be a perfect decoration for a growing family. This is a guide about making a crocheted flag wall hanging. 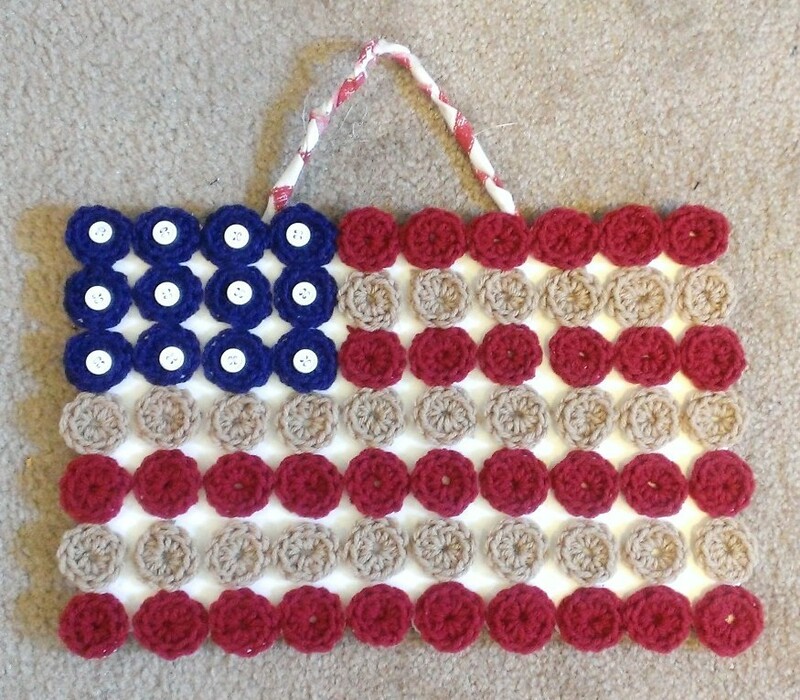 Red, white and blue yarn can be crocheted with this pattern into a wall hanging reminiscent of the American flag. This is a guide about making a heart shaped wall hanging. A heart shaped wall hanging will make a nice addition to your holiday or everyday decor. If you are looking for an easy to make festive holiday wall hanging, consider this pretty tree motif project. 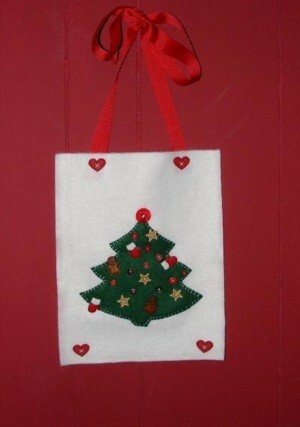 This is a guide about how to make a Christmas felt wall hanging. Using felt and glue makes the assembly of this creative wall hanging quick and easy. Your child will love having it in their room. 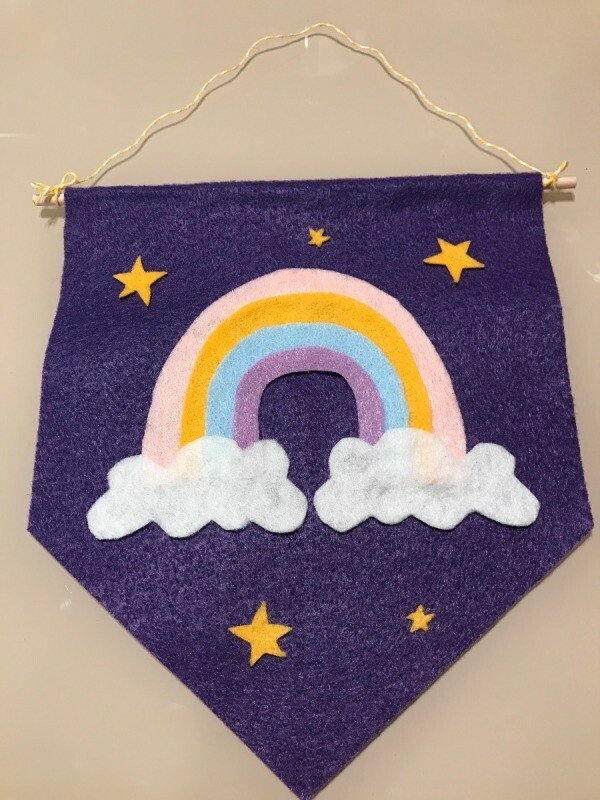 This is a guide about how to make a rainbow pennant wall hanging. A CD, some lace, and a faux flower are used to create this pretty wall hanging. 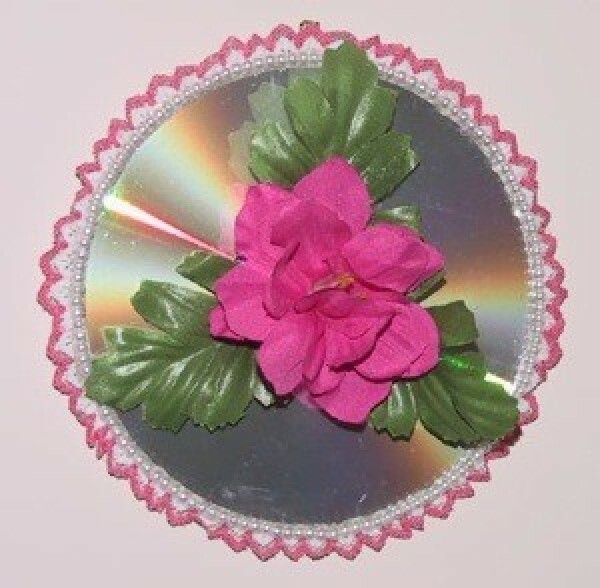 This is a guide about CD wall hanging. Large or small pieces of driftwood can be used to make lovely rustic wall hangings. You can add beads and other decorative items to tailor the hanging to complement your decor. 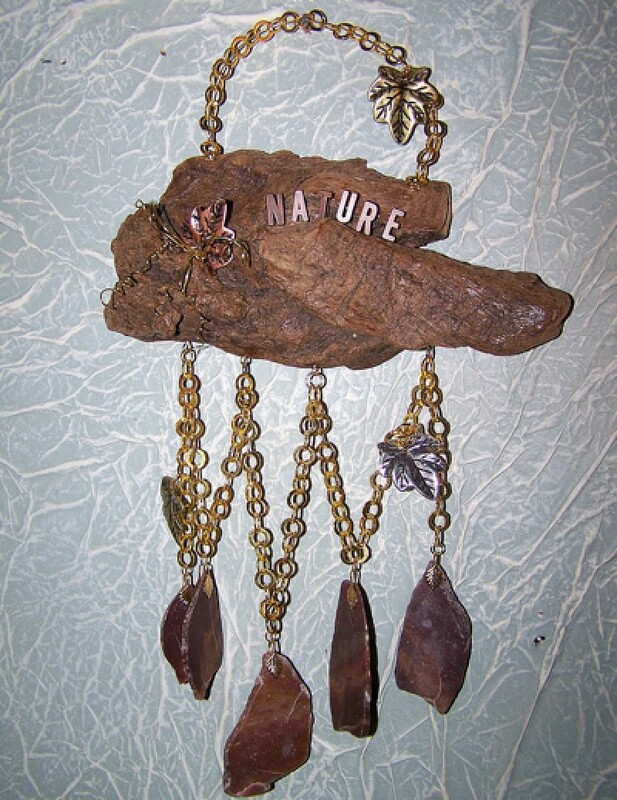 This is a guide about making a driftwood wall hanging. 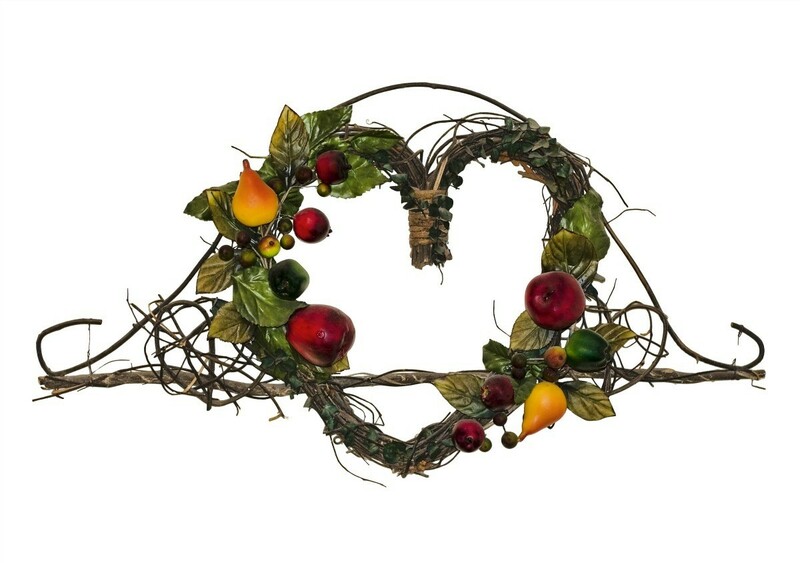 Painted wooden hearts and ribbon are used to create this pretty wall hanging. It is perfect for Valentine's Day and all year long. 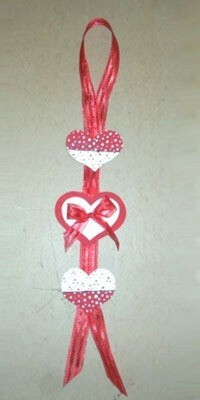 This is a guide about hearts and ribbon wall hanging. 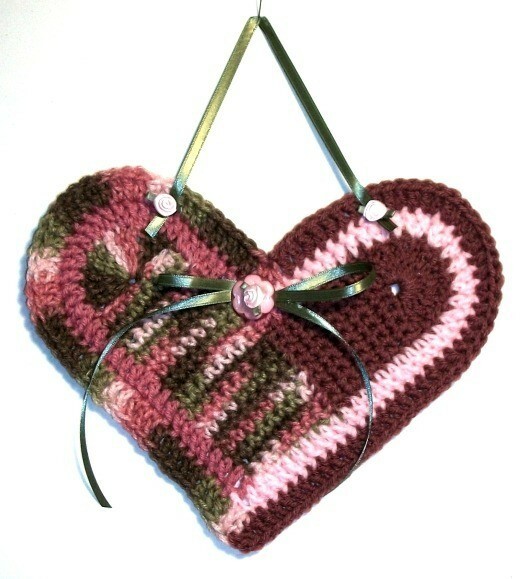 This is a guide about making a crochet heart wall hanging. Crochet wall hangings are a beautiful addition to your home's decor, as well as fun to make. 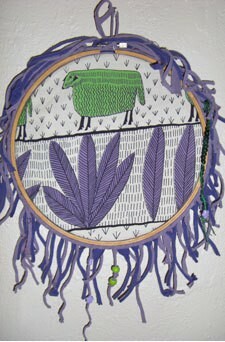 This is a guide about embroidery hoop wall hangings. 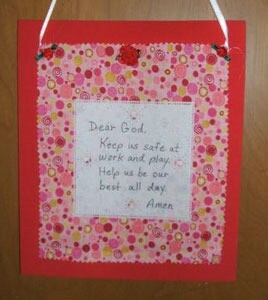 An embroidery hoop makes a quick and simple frame for, or can be an integral part of, your craft project. Make your own scenes outside your "window". If you don't have a window, just paint one! I love beach and lighthouse scenes. So, I made my window looking out at a lighthouse. Paint the plaque with a sealer such as Kilz. Draw your "window frame" around the outside of the plaque. Paint frame in white or brown to match your molding. Draw out and paint your scene. Draw a cross through the middle of the oval, making sure it is centered. Enlarge the cross to the same size "pieces" as the outside of your "window frame." Paint in white or brown. Use a gray or dark brown, depending on your molding color, make shadows on the inside of your frame. Also on the cross to make it look like the pieces are joined. This gives it depth and makes it look more real. Spray with the clear sealer. Affix picture hanger on back side. 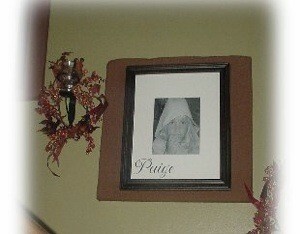 Are you having a hard time with trying to decide what to place on your wall in your open foyer? Or even just on a long wall? I have the solution for you! Glue the wood strip onto the board. Glue foam on smooth side of board. Stretch the material over the foam and staple it to the back of the board. Then nail the photo hanger in the center and you are ready to hang your photo. 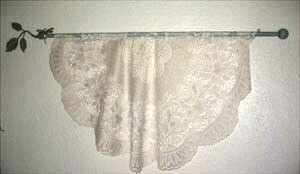 This is a ruined lace tablecloth that was reincarnated into a wall hanging! I cut a broom handle to fit and painted it. I put the drawer pull on the right end to go with the leaf rod finial on the other - its attached to the wall with 2 cup hooks. A dragonfly pop jewelry pin sits on the left end by the leaves. Can't figure out what to do with all that extra fabric hanging around in your crafting bags? Use decorative edge scissors or pinking shears to cut around edge of fabric. 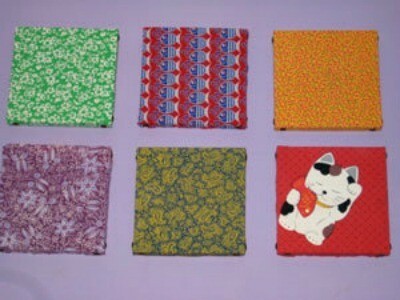 Glue to center of craft foam or construction paper. Glue ribbon under each corner of fabric for hanger. Make a gorgeous fabric picture frame to coordinate with your curtains or drapes! Pick large frame like the size of 11x14 inches, 16x20 inches, or 18x20 inches. Larger sizes look more dramatic. 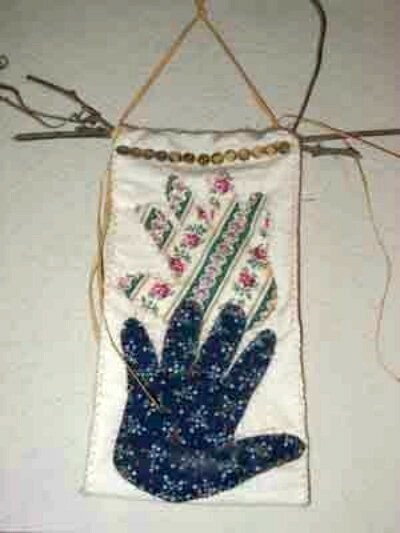 Looking for instructions for how to make handmade wall hanging or craft. What kind of wall hanging were you looking for? There are quilts, crafty with felt, macrame, crocheted. What season if any? What room? It depends on what you are looking for. I bought a piece of material at WalMart that has the 23rd Psalm on it. The piece measures 33 inches wide by 42 inches long. I want to make a wall hanging out of it but I am not sure how. What I would really like to do is to stretch it across and tack it to the frame so it is tight and the words and the picture stand out. I know that if I could do this it would make a beautiful, but inexpensive wall hanging. Has anybody out there ever done this? Would you share your method with me? I am thinking that it is poly/cotton blend.So you need some wonder under-the stiff white stuff you can put on the back to make it not be so flimsy. Cut the wonder under the same size as the Psalm fabric.Choose a solid color same size as the Psalm fabric.By putting the wonder under between the Psalm fabric and the solid color and fold the edges down and stitch down all but the top edges. Get a dowel rod and cut it the same size as the fabric at the top of the hanging,leaving an inch on either side. Fold the top of the fabric over the dowel rod and stitch it down. Tie colorful cord or heavy rope-like twine on the dowel rod,and hang from the middle.